Tap Invasion Update! New enemies, bosses and power ups! We are getting closer to the finish I think! The game is balanced enough that it’s possible to get past the first 10 levels. There are two power ups now to help along the way and they appear more frequently. One rebuilds the city and the other destroys *almost* all the enemies on the board. Each bad guy has its own unique spin. The green ones are the standard but they move faster as the game goes on. Same with the reds but they go side to side. The orange are like the reds but tougher. The blue are slow but hard to kill. The gray ones are a like blues, but with a twist. The level 8 and 10 bosses are a bit of a surprise I think. Posted in 1 Game A Month. Tagged #1gam, 2d, arcade, space invaders, tap invasion, unity. Here is what Tap Invasion looks like right now. Almost feels like a complete game. Polish, polish, polish! I’ve added 3 types of bad guys, a boss–soon to be 3 bosses–, destroyable city that represents your life, remixed particles that match the game better–more pixel arty. There are also 2 powerups in the works-rebuild city powerup is in the left top corner-it’s like getting an extra life. Posted in 1 Game A Month. Tagged #1gam, 2d, space invaders, tap invasion, touch. 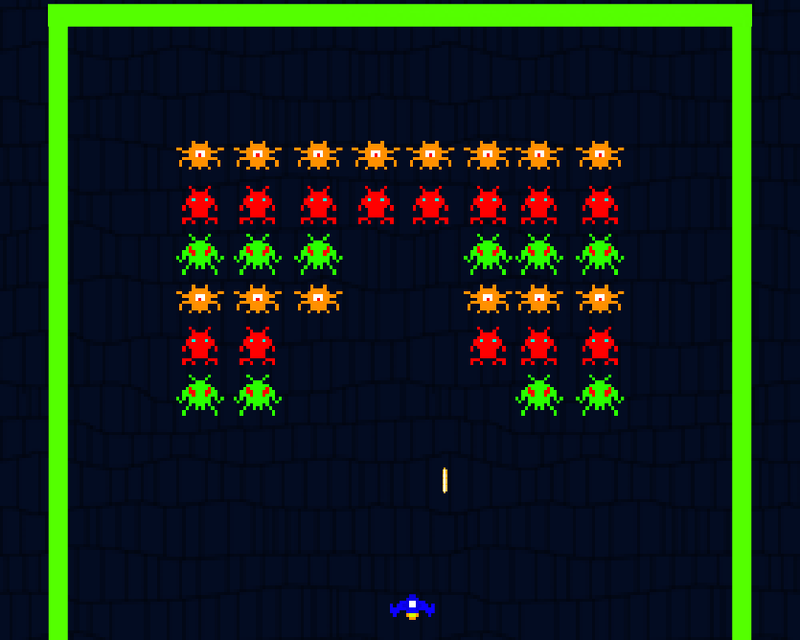 My April #1GAM is going to be a mobile space shooter meets wack-a-mole game called Tap Invasion. I don’t think the name is taken and if not, I will attempt to release it on the Android Store and maybe the Mac Store as well. I am posting the WIP of the game just to show how it progresses over time. I’ve got recognizable place holder graphics for now. I think I will be adding a cityscape to the bottom that will get destroyed when aliens crash into it. I guess the way to lose will be to lose all the buildings of the city. 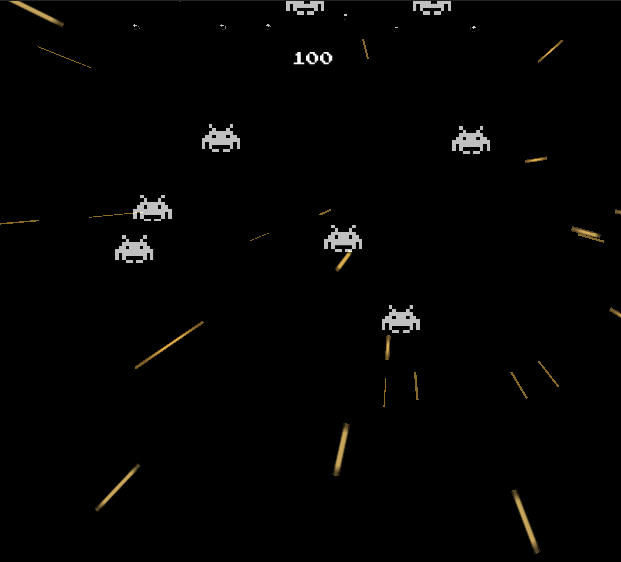 Currently the game is infinite, but I may institute levels, a couple different enemies, enemy movement more like Galaga. The idea is to add touch controls so the best way for me to emulate that on my computer is the mouse, so just click on bad guys to blow them up. 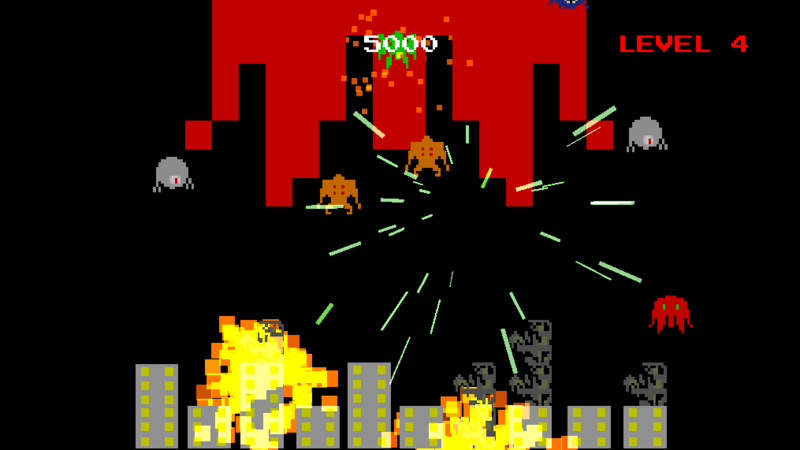 Click here to play the EARLY demo of Tap Invasion. Posted in 1 Game A Month. 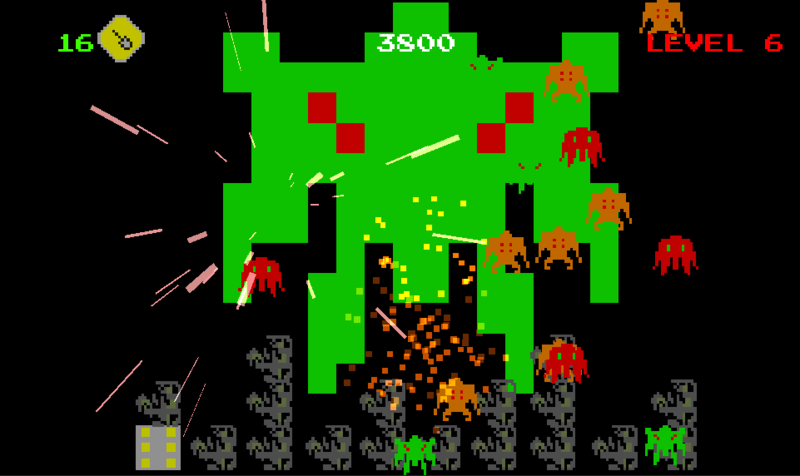 Tagged #1gam, aliens, android, apple, demo, iphone, mobile, one game a month, shooter, space, space invaders, tap invasion, wip.